President Trump told reporters that he is considering sending immigrants in the country illegally to "sanctuary cities" as retribution against Democrats, an idea his administration said had been rejected after reports emerged Thursday night. Then he went on to mention California. "We'll give them more people. We can give them a lot. We can give them an unlimited supply, and let's see if they're so happy. They say, 'We have open arms,' " Trump said. The president took to Twitter earlier in the day to say that Democrats have been unwilling to change immigration laws, prompting his administration to consider "placing" such immigrants there. He returned to the issue again on Saturday, calling on Democrats to change the nation's immigration laws. "If not, Sanctuary Cities must immediately ACT to take care of the Illegal Immigrants," he tweeted. The president's comments follow a Washington Post report on Thursday that White House officials had been considering such a move "to retaliate against President Trump's political adversaries." Trump aides had reportedly proposed such a transfer twice — last November, as a migrant caravan seeking asylum in the U.S. approached the country's border with Mexico, and again in February during a fight with Congress over funding for his border wall following a 35-day government shutdown that eventually resulted in his declaring a national emergency to obtain the funds. Also according to the Post, the White House argued to the Immigration and Customs Enforcement agency that its plan was designed to find a solution to a lack of detention space along with "political retribution" against Democrats. But ICE lawyers "rejected the idea as inappropriate and rebuffed the administration." "Sanctuary cities" are places where local law enforcement limit cooperation with federal immigration officials, as a way to protect immigrants who are in the United States illegally from being deported. One of the cities Trump had reportedly hoped to target was House Speaker Nancy Pelosi's San Francisco district. When asked by reporters on Friday morning about the Post's report, prior to Trump's tweet confirmation, she said she wasn't aware of it but that such an idea was disrespectful to the country. "I don't know anything about it," Pelosi said, "but, again, it's just another notion that is unworthy of the presidency of the United States and disrespectful of the challenges that we face as a country, as a people, to address who we are: a nation of immigrants." 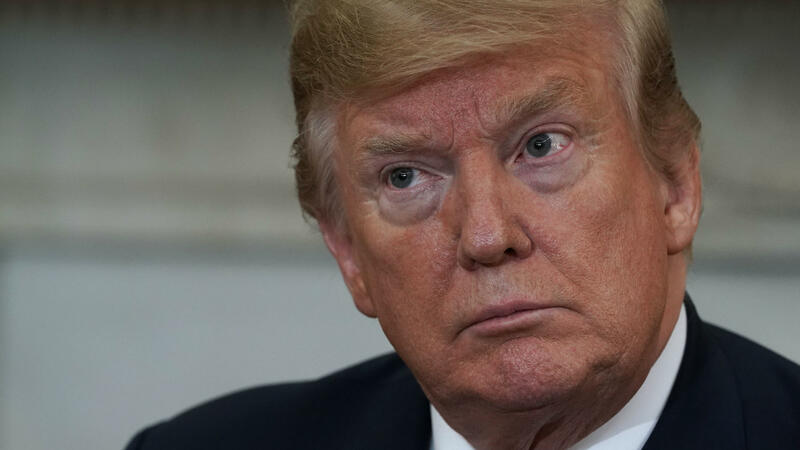 UnidosUS, a Latino civil rights organization that was formerly known as the National Council of La Raza, said in a statement that Trump's threats were "beyond reprehensible." "It seems that not only is President Trump attempting to utilize human beings, who have already experienced a traumatic situation, as tools to get back at political foes, but as a vehicle to further divide communities by stoking racial tensions," UnidosUS President and CEO Janet Murguia said in a statement.